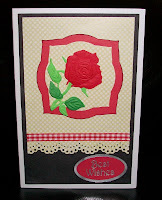 Alizabethy - Card Making Addict! 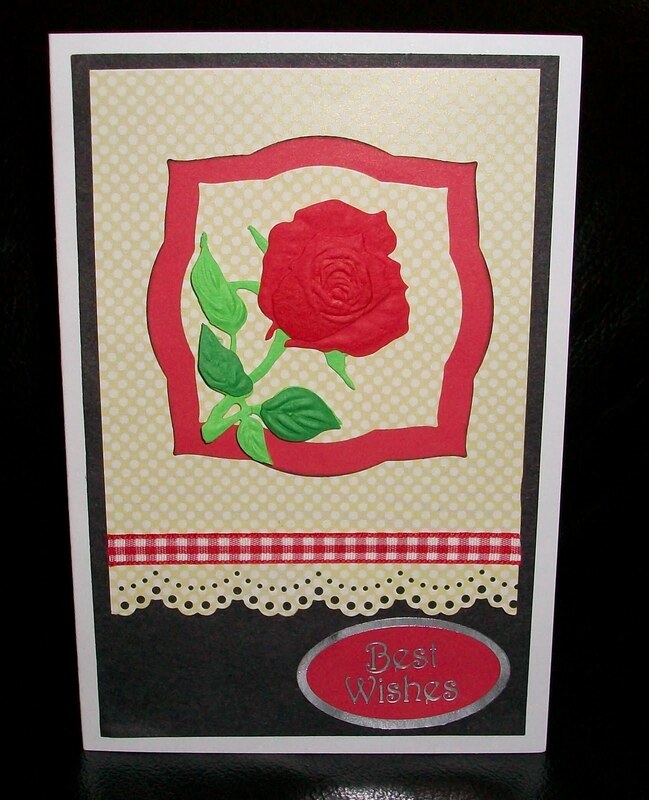 : A Rose by any other name..
Another fairly simple card featuring a rose from the docrafts goodie back and my trusty Martha Stewart lace punch! The two kittens are growing fast and very mischievous - any craft materials left on the table are inspected and played with, Promarker pens are a favourite to roll off the table! I like getting the docrafts goodie bags too. I used to enjoy going to their demos but of late was dissappointed! I have an award for you on my blog,take care.